2016/1/21 21:50:46.300 [NOTICE] DisableNetwork is set. Tor will not make or accept non-control network connections. Shutting down all existing connections. 2016/1/21 22:09:47.600 [NOTICE] DisableNetwork is set. 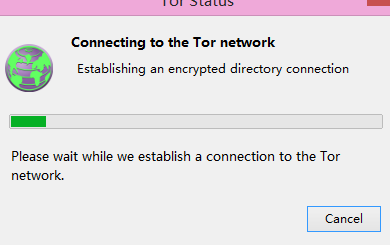 Tor will not make or accept non-control network connections. Shutting down all existing connections. It seems that you may be a victim of TLS/HTTPS MitM-attack, try to use Meek and Obfs3/4 pluggable transports. If it won't work either - please post your Tor log here, so I'll be able to help you further. Stay tuned and never give up! I can't see any evidence of you being the victim of a MITM attack. It appears that your ISP is either blocking all traffic to known Tor entry nodes - which would imply they know that your bridges are part of the Tor network - or that they're blocking all Tor traffic by looking for Tor's traffic signature. You can presumably ping the bridges because your ISP isn't blocking ICMP traffic. Not the answer you're looking for? Browse other questions tagged configuration help bridge or ask your own question.